Celebrate World Egg Day on October 13! World Egg Day is observed annually on the second Friday of October as decreed by the International Egg Commission almost 20 years ago. 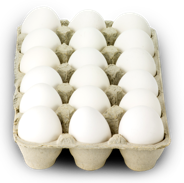 It’s a global celebration as diverse as the wide array of uses for the egg itself.